I am so excited to be the May Guest Designer for Pinkfresh Studio! I loved serving on the Pinkfresh Design Team last year, and I've been hoping to get my hands on one of the new monthly embellishment Kits. Kinnari invited me to work with the May 2015 Kit, and I jumped at the chance! You can purchase the Kits in the Pinkfresh Shop or sign up for a subscription. 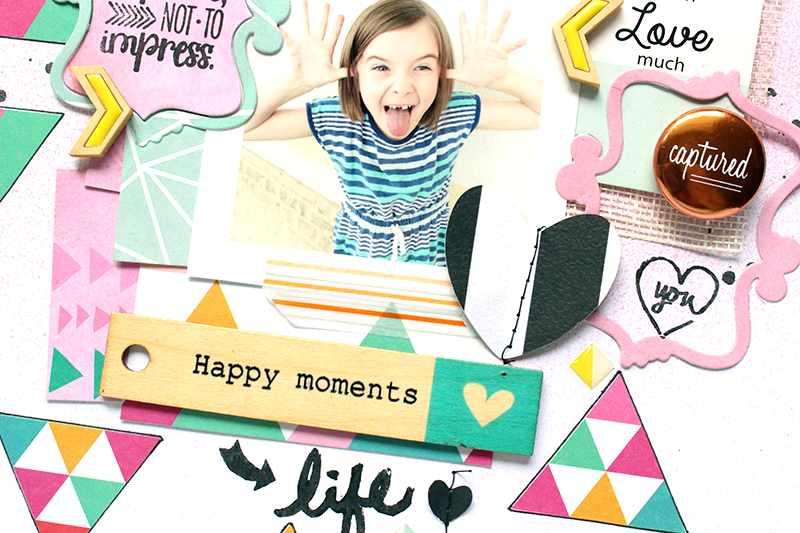 I created two layouts with the May 2015 Kit, and they are up on the Pinkfresh Studio Blog today. I'll share some sneaks with you, and you can head over to the Pinkfresh Blog to check out the full layouts! These Kits are so fun to work with, and mix easily with product that you already have in your stash! So make sure you stop by and check them out! American Crafts NSD 2015 Blog Hop! 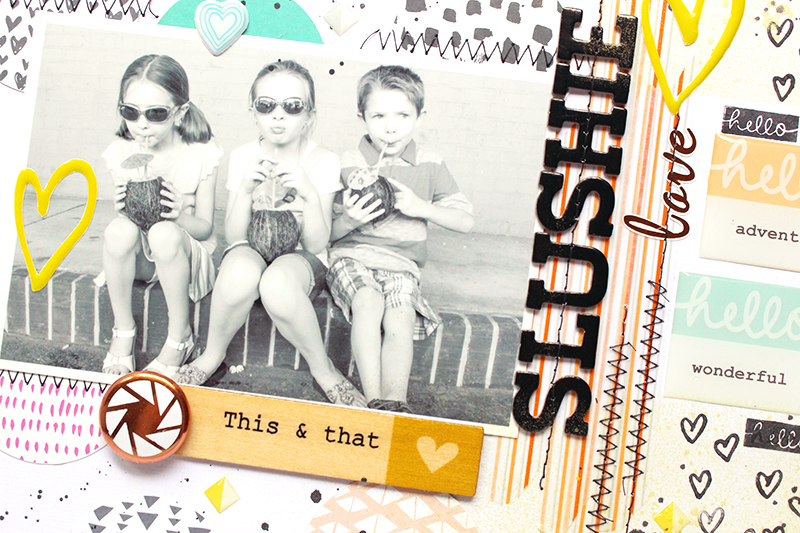 The Cut Shoppe National Scrapbook Day Weekend!